It’s understandable to see why people would go into We Were Sharks’ Lost Touch and not expect much. Pop-punk remains as oversaturated as ever, but with the list of genuinely great acts dwindling at a rate of knots, it’s not totally out of the question to expect that anyone new is “just another pop-punk band”. Still, the sources of intrigue for We Were Sharks are at least there, the primary one being the trio of guitarists that bolsters the Canadians’ six-piece lineup, a very clear oddity among the firmly set pop-punk dogma, and for an album that’s less than half an hour long, it’s worth a look at the very least. Admittedly then, it’s a bit of a shame that Lost Touch doesn’t exactly allocate anything particularly creative among its resources, but even with that in mind, it’s perhaps the most likable pop-punk album that 2018 has produced thus far, simply by executing the fundamentals better than anyone else. This is not boundary-pushing by any stretch of the imagination, but with a bit more crunch that isn’t flattened in overproduction and the energy and hooks to carry them through a simple, ten-track listen, Lost Touch‘s brevity and lack of complications make up its greatest strengths. And once again, it’s worth reiterating that We Were Sharks are bringing nothing new to the table here, a feature that probably falters the most in the writing. It’s post-relationship dwelling that’s been done umpteen times before, and even if the alternation between bitter jabs and more sincere, emotional cuts does enforce some variety, the well of overdone pop-punk themes has been thoroughly emptied out for this one. Then again, considering that the vast majority of Lost Touch‘s appeal is on the most surface level, it feeds into the simplicity that works so heavily in its favour. The likes of Stay and Never Look Better revel in the fact that their greatest asset is a sublime, meaty hook, and introducing Broadside’s Ollie Baxxter onto Late Bloomer adds some extra smoothness and range to Randy Frobel’s already impressive efforts. Even on Ashley, a much more lighthearted cut clocking in at under a minute-and-a-half, there’s enough wit and standout lines to stick in the same way as blink-182’s more overtly comedic material. As for the instrumentation to back it up, it’s so refreshing to see a pop-punk band not enamoured with sounding as processed and perfect as possible, and even with the slight coat of polish that is noticeable (see the intro of Sober for the clearest example), there’s crunch and meat that comes from a guitar tone that owes a lot to classic New Found Glory or the more melodic side of easycore. It leads to tracks like Drop The Act which could’ve been imported directly from the early 2000s, or the bounce and pace of Hotel Beds and July that so many other newer bands can’t seem to manage for some reason. For as basic as it is, We Were Sharks’ approach to pop-punk is almost perfect in hitting the sweet spot between modern sleekness and a meatier classic feel. It serves as an impressively timely reboot of pop-punk’s best era in a manner that carries pretty much everything that made it work, and adds a bit of modern spice in an attempt to widen the appeal as much as possible. Where We Were Sharks differ from so many others, though, is that they never go overboard with the sheen; Lost Touch feels as though it should be the baseline for what this sort of pop-punk should be, in keeping with the genre’s roots more than anything. It’s definitely worked here, and We Were Sharks have made a great little album from it. 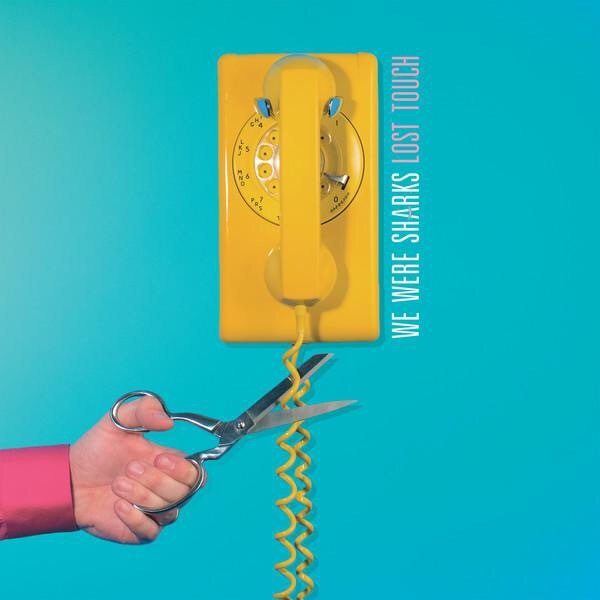 ‘Lost Touch’ by We Were Sharks is out now on Victory Records.